When I asked you about diapers, you – the readers! – had a lot to say! I’ve broken down the info to help myself and help you, if you’re like me, and you want an expensive but reliable way to keep all the bottoms (and the clothes, and the sheets) dry. 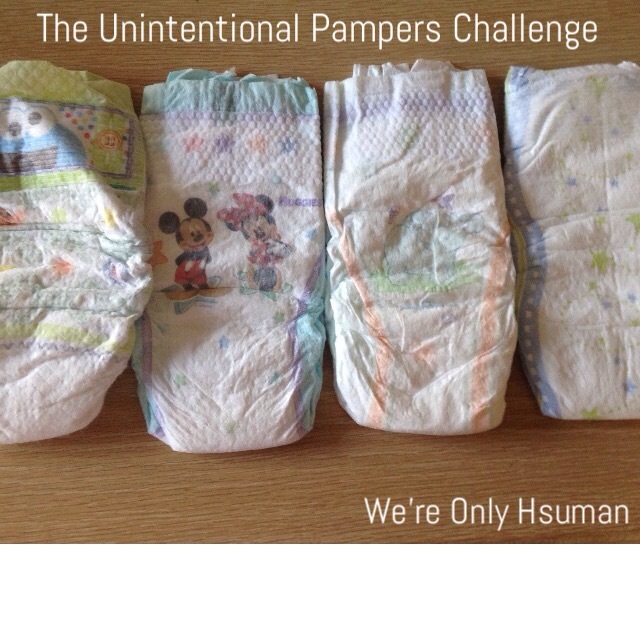 The most common answer for the diapers you love is Pampers. I’m pretty much there with you. They’re basically the most expensive, but the cost seems to be worth it for most of us. The next best thing sounds like Luvs. I’ve never even bought/used those at all, so I’m taking your advice. Next time I buy diapers, I’m going with a box of Luvs to try them out on the kiddos. From what you said, they’re less expensive than Pampers, but just as good! I also heard great things about Honest Company and 7th Generation, mostly about how they’re great for the baby and great for the environment. Well, I’m convicted. I’ve heard great things about 7th Gen for a long time, and have wanted to try their diapers in the past, and I feel the same way about Honest Company, except that their expensive. I don’t really need my diapers to be adorable (I’m looking at you, Honest Company, and your delightful cupcakes and colorful hot air balloons) but I do need them to be affordable. I mean, I’m diapering two kiddos right now (EK still won’t be consistent about pottying. More on than later.) and while hopefully it’ll be only two when the next baby is born, I’m thinking that EK might still be in a nighttime diaper then anyway. Lots of you say you use Huggies Overnights during the night and something cheaper during the day. I totally feel you on this. Especially if you’re potty training one, and it’s staying dry most of the day (or even some of the day) it seems like “Who cares what sort of diaper it is? !” I’ve never bought the Huggies Overnights, but maybe I need to! How much more expensive are they, someone? The last awesome thing I heard was that Up&Up (Target) and Amazon Elements (Amazon.com) were possibly gonna be just as useful for daytime. That’s great, because who isn’t at Target all the time? And who doesn’t love diapers delivered to your door?! Things you didn’t like: Wal-Mart brand, Sam’s brand (coincidence? Probably not.) and regular Huggies (with a couple exceptions). Oh, by the way. Another hilarious side note from all my reader responses… Several of you mentioned having “super pee-ers” and almost all of you who said that said it in the same way. Well, I think I’m among you. Super pee-ers, unite! So now I’ve got a to do list. I’m going to try Luvs. I’m going to try Huggies Overnights. I’m going to try Up&Up. I’m gonna try Amazon Elements. I’m also (gasp!) going to borrow some gdiapers from a friend, and try those, now that my kids are out of the new-diaper-every-two-hours stage. Because that’s a lot of laundry, am I right?